© 2014 R.L. 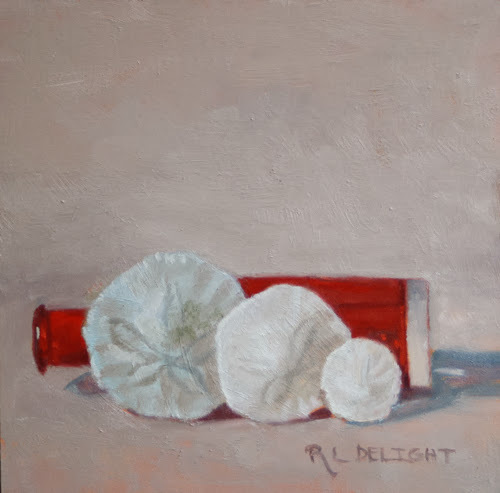 Delight, Three Dollars-with Inflation, 6"x6" oil on gessobord. Day 3! When I lined these sand dollars up to paint in descending order, I couldn't resist thinking about the shrinking dollars in our economy. Hopefully I got the concept right. I am definitely not an economist, but you all probably figured that out! 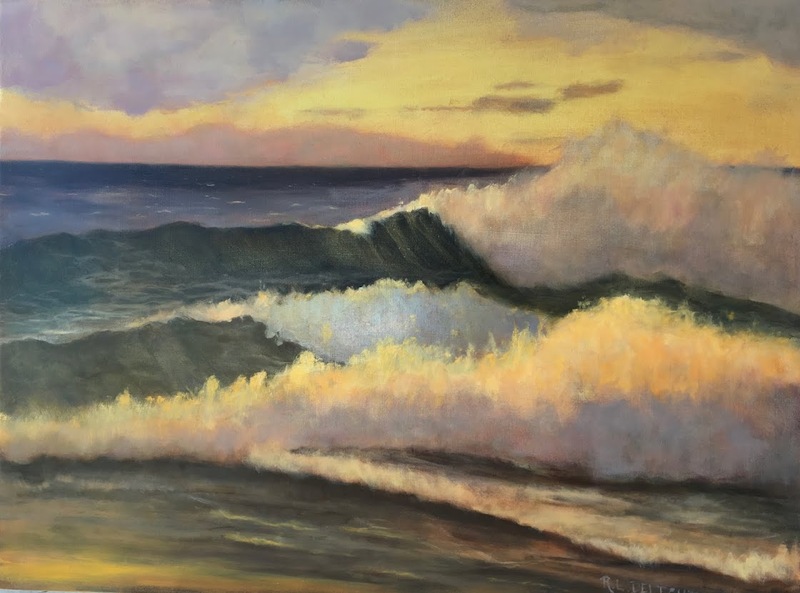 This is the final painting in this mini-series. I had fun painting the sand dollars. It was a good challenge to capture their colors and textures. Each one is different. My schedule gets a bit tricky this week but I am determined to make my daily painting. More tomorrow! 30 in 30 Challenge 2014-Day 1: Happy New Year!